Below is an example of a motion to quash a videotaped deposition. This was a defense motion filed because the defense lawyer does not like that we videotape depositions. It was silly but we are putting it up so people can see the form of such a motion in Maryland. Elsewhere, we have a motion to quash in federal court. Maryland Rule 2-412 mandates that a party desiring to a take a deposition serve notice of the deposition on other parties. "The notice shall state the time and place for taking the deposition ...." Md. Rule 2-412(a). Courts have interpreted the Rule rigidly, requiring that a notice of deposition include the time and place for taking the deposition. See Womble v. Miller, 25 Md. App. 656, 665, 336 A.2d 138, 144 (1975). In the case at hand, Plaintiffs have served Defendant with a Notice of Videotape Deposition, advising that Plaintiffs intend to take the deposition of witness Kenneth York for use at trial. See Plaintiffs' Notice of Videotape Deposition, attached as Exhibit I. The Notice states: "Because Mr. York is a Merchant Marine and the schedule of his ship may vary with weather conditions, the date, time, and location of his deposition will be agreed upon by and between counsel of record in accordance with his ship's itinerary ...." See id. Plaintiffs' Notice of Videotape Deposition plainly violates Rule 2-412(a). The Notice does not state the time and place for taking the deposition but merely puts forth that the time and place will be agreed upon at some time in the future. In effect, Plaintiffs' Notice provides no notice to Defendant at all. By mandating that "notice shall state the time and place for taking the deposition," Rule 2-412(a) could not have intended a notice of deposition to be sufficient by setting forth merely that the time and place will be agreed upon at some point in the future. Because Plaintiffs' Notice of Videotape Deposition plainly violates Rule 2-412(a) and does not serve the purpose of providing sufficient notice to Defendant, Plaintiffs' Notice should be quashed. WHEREFORE, Defendant, Scarlett Corso, respectfully requests that this Honorable Court quash Plaintiffs' Notice of Videotape Deposition. Womble v. Miller, 25 Md. App. 656, 336 A.2d 138 (1975). Womble is an oft-cited case deposition dispute cases although it really has no application to the defense motion above. In Womble, the plaintiff failed to appear for one deposition and would not answer any questions at a second deposition. The sanction imposed by the trial court was that the plaintiff was sanctioned (a crushing $137 in the 1970s). 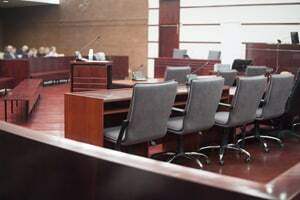 The Maryland Court of Special Appeals affirmed, finding that although a deponent appeared for his deposition, his refusal to answer questions constituted a violation of what the Maryland Rules. Accordingly, the trial court had the authority to sanction a party who fails to appear at their deposition. Another frequently cited case in these type of disputes is Wilson v. N.B.S., 130 Md. 430, 444 (2000). In this case, the court found that, "Maryland case law teaches that merely because a specific discovery failure is not covered expressly by the sanctions rule, in and of itself, does not means that the rule is inapplicable." In Wilson, the Court of Special Appeals looked at whether the trial court could impose sanctions in a lead paint case, where the alleged victim, a minor child, did not appear for a court ordered psychological examination. There is no specific authority in the rules for imposing a sanction in that situation. Still, the Maryland Court of Specials affirmed the trial court's dismissal of the case. The court found that when the conduct of a party "technically does not constitute a failure to abide by the rules of discovery, the court nevertheless may have rule-based sanctions authority under Rule 4-333."